Mani Ratnam’s “Chekka Chivantha Vaanam” will now hit the screens on September 27 over worldwide. 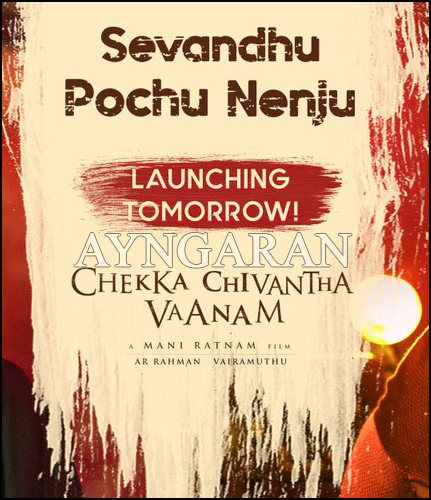 And 3rd single song “Sevandhu Pochu Nenju” of the film releasing tomorrow. 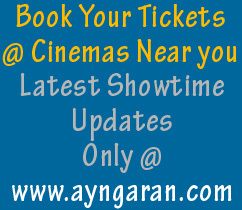 Already 2 songs and trailer of the movie released recently and has been fetching rave reviews from all around. The trailer has crossed more than 9 million views on YouTube. Music scored by A R Rahman. The lead pairs include Arvind Swami and Jyothika, Arun Vijay and Aishwarya Rajesh and Simbu with Dayana Erappa. There also seems to be a romantic twist between Arvind Swami and Aditi Rao Hydari, who likely plays a reporter in the movie. Revered actor Prakash Raj plays the father of the 3 men and Vijay Sethupathi is introduced as the 4th lead, playing a police officer.